My girls love kinetic sand, but it can be pretty pricey. So, when they were asking for a new batch the other day I thought, "Why don't we try to make our own?" We set out to try, and I must say- our homemade version turned out much like the store bought variety! 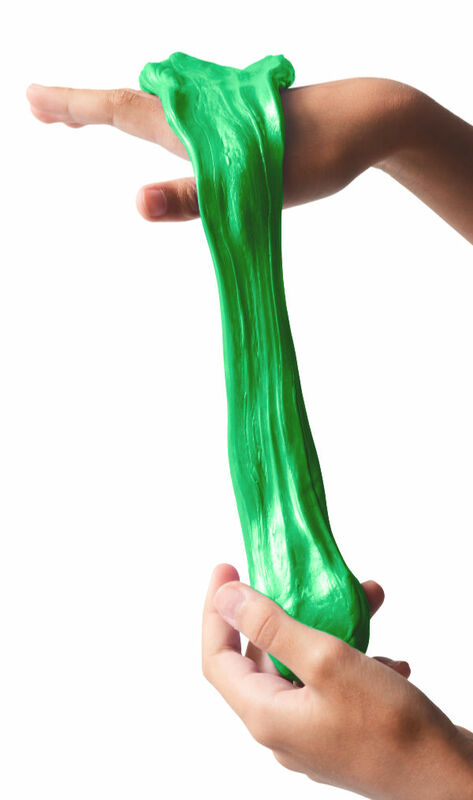 It is super squishy, mold-able, and lots of fun! 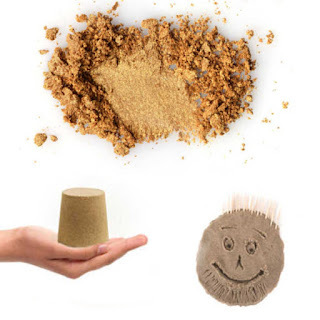 Are you ready to make kinetic sand at home? 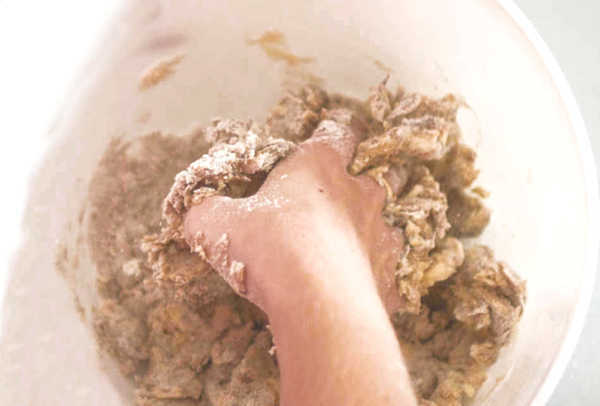 Begin by combining the play sand and corn starch in a large bin or container. In a separate container combine 1 cup of water with 1 tsp of dish soap, and stir until the water is bubbly. 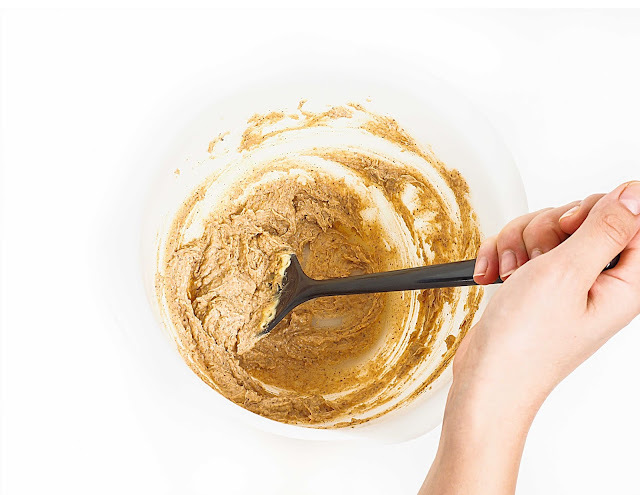 Then, slowly add the water-mixture to the sand/cornstarch and mix well. Mix and mix, slowly adding more water & mixing as you go. I used 3/4 cup of water, and the consistency was perfect, but if your sand is coarser or finer than mine you may need more/less water, so be sure to add it SLOWLY! Continue to add more water & mix until the desired consistency is reached. That's it! Easy, right? And so fun! Add buckets/shovels/kitchen gadgets, and kids will have a blast as they create & play! 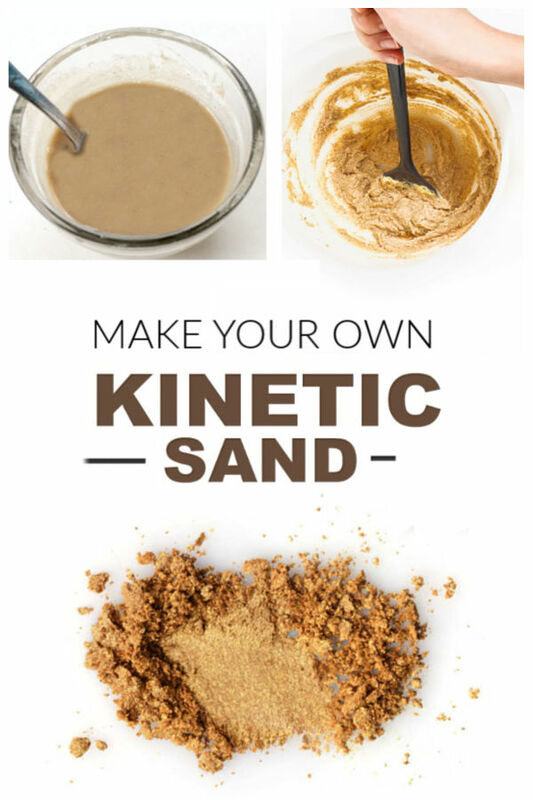 The dish soap in this recipe is what gives this sand a kinetic-like quality. It is so fun to squish and form into shapes in your hands. 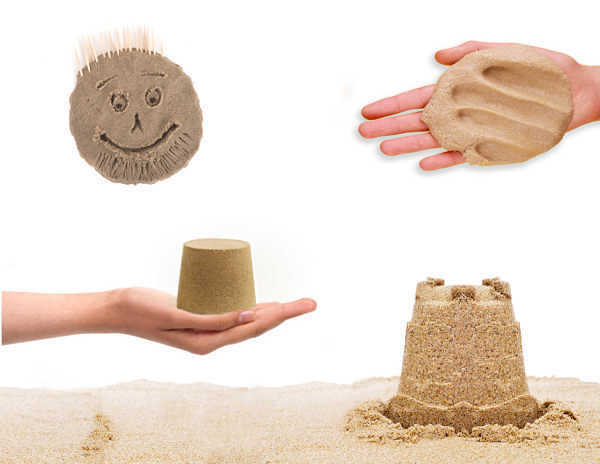 It is also mold-able, making it great for building sand castles and other structures. 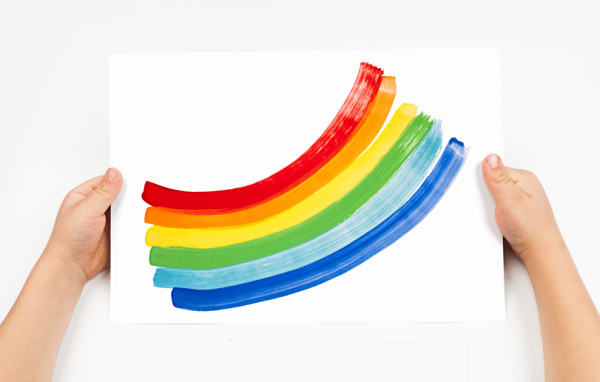 Add cars and other toys for a simple way to extend the fun. 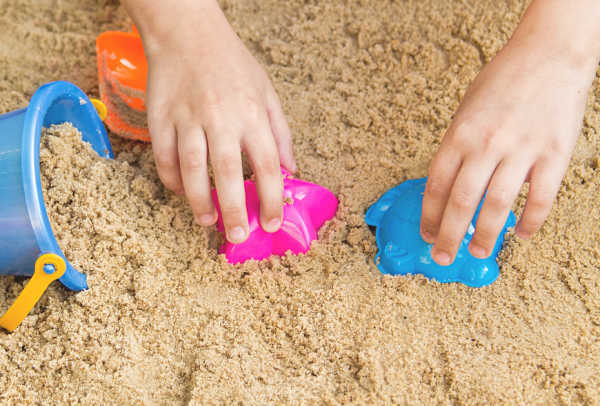 Store your homemade kinetic sand in an air-tight container between play times, and it can be used again & again. 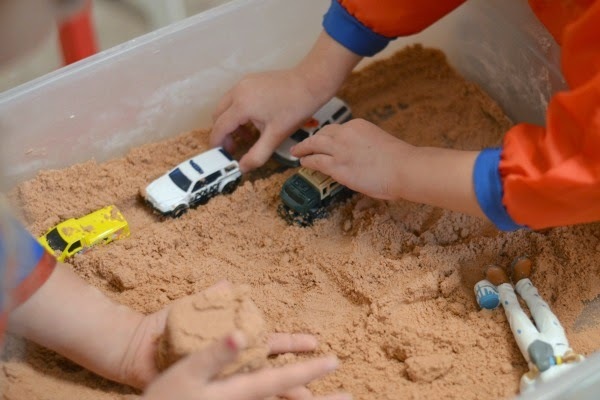 If the sand dries out between play add a touch of soapy water & mix it into the sand. This will restore it to the desired consistency. 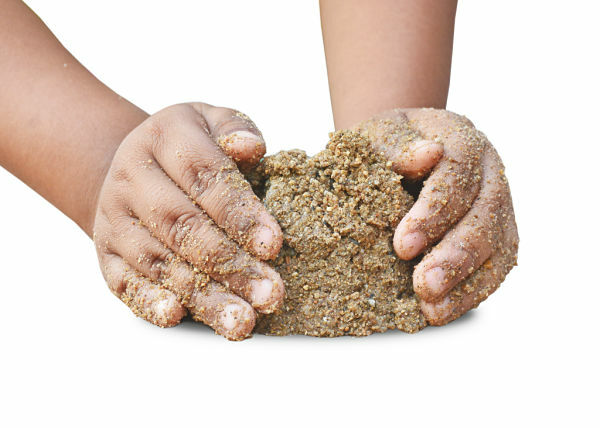 Play sand can be bought in bulk on Amazon here. 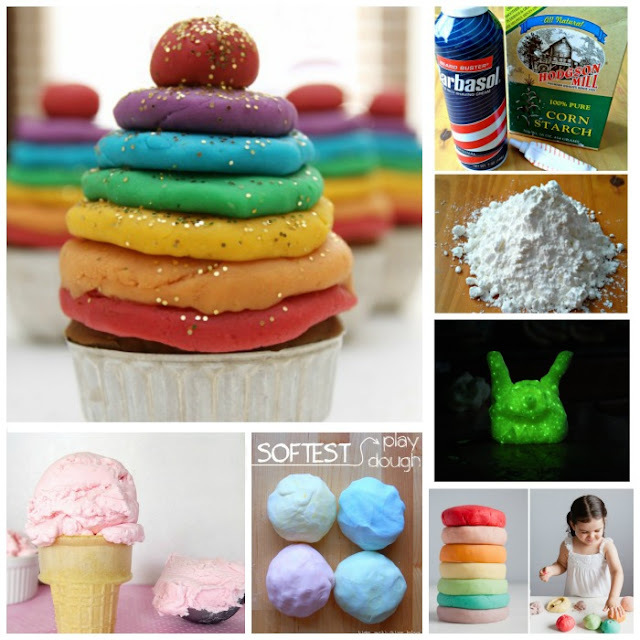 Don't feel like making kinetic sand? You can purchase it in a variety of colors here.